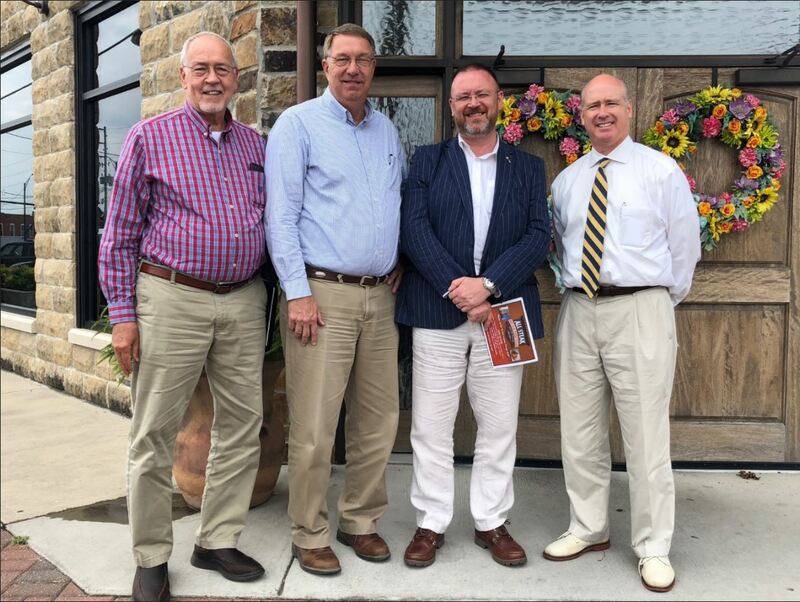 CULLMAN – Mr. David Duguid, of the Scottish Conservative Party and a Member of British Parliament (MP) for Banff and Buchan since June 2017, recently visited Cullman with U.S. Congressman Robert Aderholt. Mr. Duguid is a participant in the 41st Annual British-American Parliamentary Group (BAPG) Exchange Program. Each year, MPs meet to travel to Washington, D.C. to meet with Republican and Democratic members of Congress before traveling to their counterpart U.S. Representatives’ home districts. The BAPG exchange has been exchanging ideas since 1977 under the auspices of the U.S. Department of States’ International Visitor Leadership Program (IVLP), with the goal of strengthening the special relationship between the United States and the United Kingdom that is necessary to solve global challenges. More information on the U.S. Department of States’ International Visitor Leadership Program (IVLP) can be found at http://eca.state.gov/ivlp. More information on the British-American Parliamentary Group (BAGP) can be found at http://bapg.org.uk.